Food Allergy Canada respects your privacy and is committed to protecting the information you share with us. 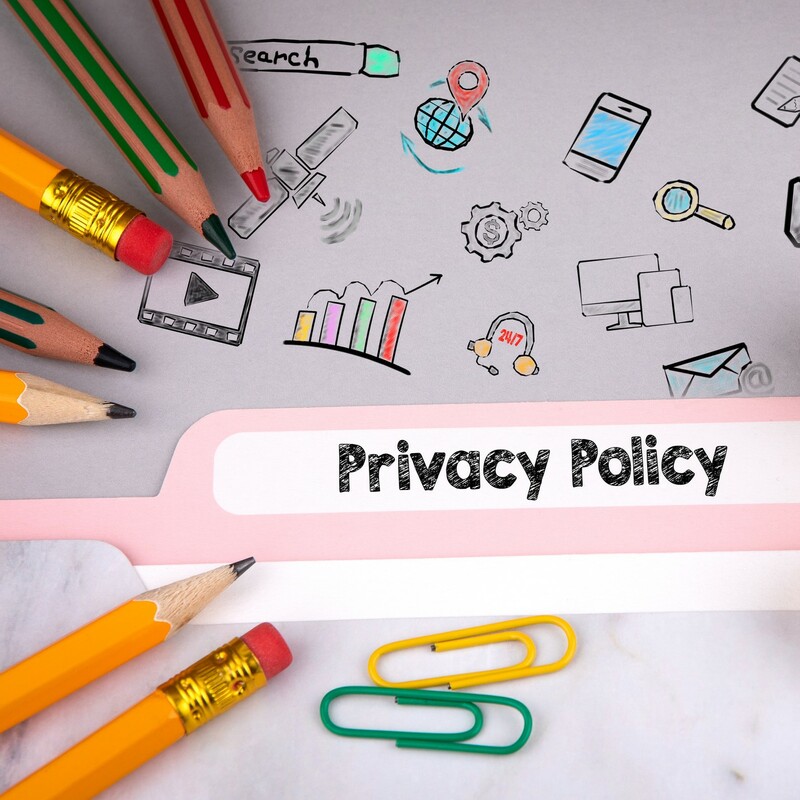 We recognize the importance of protecting your privacy and have created this policy to show our commitment to your privacy. The purpose of this policy is to explain the practices and procedures we implement to protect your personal information, the way we use this information and the choices you can make regarding our use of your personal information. Food Allergy Canada has based this policy on the 10 Privacy Principles contained in the Canadian Standards Association (CSA) Model Code for the protection of personal information. We are committed to protecting your privacy rights and personal information. We are responsible for the protection of your personal information collected through our offices, website, programs, and activities. Personal information includes your name, address, and medical and credit card information. Only authorized employees have access to your information. We will identify the purpose for collecting any personal information from you before or at the time of collection. Food Allergy Canada collects information for the Allergy Information Service, newsletter, donations, and to keep you informed about our work and industry news. Food Allergy Canada also uses this personal information to advise users of new online materials, activities, and events, and to provide users with the opportunity to contribute to local and national programs and research initiatives. Personal information will only be collected with your knowledge and consent. Food Allergy Canada will not collect, share, or use any personal information without your consent; and you may withdraw your consent at any time by contacting us at the address below. You may browse Food Allergy Canada websites or view our Facebook and Twitter feeds without submitting any personal information. However, if you choose to sign up for the Allergy Information Service, e-mail lists, purchase products, or participate in an event, contest, or program, you may be asked for applicable personal data such as your name, gender, postal address, e-mail address, phone number, fax number, payment information, relationship to allergies, and date of birth. We only collect personal information relevant to the purposes that have been identified and the information is obtained fairly and lawfully. The purpose of collecting such data is to assist Food Allergy Canada in contacting individuals with relevant information and to collect payments made online. Your personal information will not be used or disclosed for purposes other than those for which it was collected. Personal information included in specific questions submitted to Food Allergy Canada is used solely as internal market research to help us to serve you better. All other information entered on this site is used for aggregate demographic analysis only and no personally identifiable information is included in these analyses. Food Allergy Canada never shares your personal information with third parties without your consent. Personal information collected from the Allergy Information Service and donation pages is never shared with third parties. Food Allergy Canada only retains personal information for as long as necessary for the above-mentioned purposes. Personal information shall be as accurate, complete, and up to date as is necessary for the purposes for which it is to be used. The personal information collected through the Allergy Information Service is provided by individuals themselves and is considered accurate unless informed otherwise. Food Allergy Canada is open about its policies and procedures. We will notify you of any changes to this policy by posting a notice prominently on the main page of our website. We also inform individuals about the purposes for collecting, using, and disclosing personal information and how personal information can be accessed. You may access your personal information or opt out of Food Allergy Canada’s communications at any time by contacting us directly at the address below. If you have subscribed to any newsletter published by Food Allergy Canada, you may unsubscribe by following the instructions in the e-mail containing the newsletter. You may also remove yourself from Food Allergy Canada’s e-mail list by contacting us via e-mail. Your e-mail address is never shared with third parties without your express consent. You may also notify us that you choose to opt-out of all communications by sending us your name, phone number, e-mail, and postal addresses and indicating that you would like to opt out of all communications from Food Allergy Canada. If you have any questions about this Policy or you wish to review or correct any personal information, you may contact us by mail, e-mail, or telephone at the address and numbers listed below. Food Allergy Canada encourages and permits text links to content on its website(s), provided that any such links follow these guidelines. We do NOT endorse companies, products or services, and strictly prohibit any suggestion of endorsement, recommendation, or superiority of one company, product, or service over another company, product or service. Additionally, you may not represent that you have, or your organization has, a relationship with Food Allergy Canada or any of the events, products, or services that Food Allergy Canada provides unless that relationship is the subject of a written agreement that has been signed by Food Allergy Canada. Food Allergy Canada does not allow framing of its website(s), or use of other techniques that may alter in any way their visual presentation or appearance of its website(s). When setting up a link to our website(s), it should open in a new Web browser window rather than displaying the pages in a frame of the linking site’s Web template. Links directly to Food Allergy Canada’s website(s) should be text-only. You may not use Food Allergy Canada’s logo on external websites or as a profile picture on social networking such as Twitter, Instagram, Facebook or YouTube, without permission in the form of a signed agreement with Food Allergy Canada. Food Allergy Canada’s mission is to inform, support, educate, and advocate for the needs of individuals and families living with anaphylaxis and to participate in and support research related to anaphylaxis. Food Allergy Canada is a trusted source of information about severe allergies. For more information, visit Food Allergy Canada’s website. Food Allergy Canada does not allow other blogs or websites to copy and reuse information or material(s) from its websites without specific, written permission. Food Allergy Canada shall have no responsibility or liability for any content appearing on your blog or website. You agree to indemnify and defend Food Allergy Canada against all claims arising out of or based upon your website. Food Allergy Canada reserves the right to withdraw permission for any link at any time. When Food Allergy Canada’s website(s) or social media link to other sites maintained by third parties, over which Food Allergy Canada has no control, Food Allergy Canada does not assume any responsibility or liability for any communications or materials available at the sites to which it links, including responsibility or liability for their accuracy or for any damages resulting or arising from the use of any of their products and/or services. A link on Food Allergy Canada’s website does not imply endorsement or recommendation by Food Allergy Canada. The links are shown solely for users’ information and convenience. Users should do their own diligence to determine what products and/or services are right for their use. Food Allergy Canada does not provide links from its website(s) to external sites except as specified by a pre-existing sponsorship agreement/contract, partnership, or other contractual business relationship. Food Allergy Canada reserves the right to add, modify, and delete these guidelines at any time at Food Allergy Canada’s sole discretion. This Posting Policy (the “Policy”) provides important information about your use of the Food Allergy Canada forums (Question of the Month, online support groups and social media such as Twitter and Facebook). You should read it, understand it, and consider printing a reference copy when using these forums. By contributing any material to these forums, the user agrees to abide by this Policy as presented to you, without changes. Food Allergy Canada will accept no additions or deletions. At any time, Food Allergy Canada may change, add, or remove any part of this Policy. If any future change is unacceptable to you, you should discontinue using the forums. Your continued use of these forums will always indicate your acceptance of this Policy and any changes to it. In addition to this Policy, all use of the Food Allergy Canada website is governed by the Food Allergy Canada web policies. Any message posted on these forums is the sole opinion of the author of the message and does not necessarily reflect the views of Food Allergy Canada or other members. The forum user agrees that he/she is solely responsible for the content of his/her submission and will not hold Food Allergy Canada responsible for any claim based on the content of the submission. Information posted in a submission is not a substitute for medical advice or care from a qualified doctor. Food Allergy Canada does not accept any liability for the content or accuracy of any material submitted by users. By sending a submission to a forum you agree to grant Food Allergy Canada a perpetual, royalty-free, non-exclusive worldwide right license to use, reproduce, modify, adapt, publish, translate, create derivative works from, distribute, perform, play, make available to the public and exercise all copyright and public rights with respect to the submission. If you don’t want to grant Food Allergy Canada the rights set out above, do not send your submission to the forum. You must be at least  years old to post to the forum. If you are over  years old but have not reached the age of majority, you must have your parent or guardian’s permission to post to the forum. If you fail to abide by this Policy, Food Allergy Canada may remove your submission. Repeated inappropriate submissions or comments may result in your being blocked, or your account being placed into temporary or permanent suspension in your ability to participate in any area of Food Allergy Canada’s forums, social media or website. If you post or send offensive or inappropriate content anywhere on or to the website, social media or online forums, or otherwise engage in any disruptive behaviour which Food Allergy Canada considers to be serious and/or repeated, Food Allergy Canada may use all available information about you to stop further infringements. This may include blocking, as well as informing relevant third parties such as your employer, school, internet service provider, or law enforcement authorities of the infringement. Food Allergy Canada reserves the right to delete any submission, or take any action against any account or follower, at any time, for any reason.